This data represents a multivariate time series of power-related variables, that in turn could be used to model and even forecast future electricity consumption. In this tutorial, you will discover a household power consumption dataset for multi-step time series forecasting and how to better understand the raw data using exploratory analysis. The household power consumption dataset that describes electricity usage for a single house over four years. How to explore and understand the dataset using a suite of line plots for the series data and histogram for the data distributions. How to use the new understanding of the problem to consider different framings of the prediction problem, ways the data may be prepared, and modeling methods that may be used. Photo by Sheila Sund, some rights reserved. The Household Power Consumption dataset is a multivariate time series dataset that describes the electricity consumption for a single household over four years. In general terms, the active energy is the real power consumed by the household, whereas the reactive energy is the unused power in the lines. We can see that the dataset provides the active power as well as some division of the active power by main circuit in the house, specifically the kitchen, laundry, and climate control. These are not all the circuits in the household. The dataset seems to have been provided without a seminal reference paper. 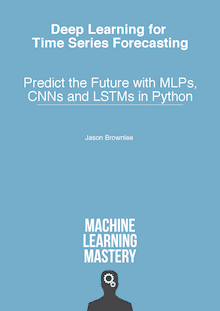 Nevertheless, this dataset has become a standard for evaluating time series forecasting and machine learning methods for multi-step forecasting, specifically for forecasting active power. Further, it is not clear whether the other features in the dataset may benefit a model in forecasting active power. Below are the first five rows of data (and the header) from the raw data file. We can see that the data columns are separated by semicolons (‘;‘). The data is reported to have one row for each day in the time period. The data does have missing values; for example, we can see 2-3 days worth of missing data around 28/4/2007. We can start-off by loading the data file as a Pandas DataFrame and summarize the loaded data. We can use the read_csv() function to load the data. It is easy to load the data with this function, but a little tricky to load it correctly. Specify that we have lots of RAM to avoid a warning that we are loading the data as an array of objects instead of an array of numbers, because of the ‘?’ values for missing data (low_memory=False). Specify that we would like our new ‘datetime’ column to be the index for the DataFrame (index_col=[‘datetime’]). Putting all of this together, we can now load the data and summarize the loaded shape and first few rows. Next, we can mark all missing values indicated with a ‘?’ character with a NaN value, which is a float. This will allow us to work with the data as one array of floating point values rather than mixed types, which is less efficient. To confirm that we have not messed-up, we can re-load the dataset and summarize the first five rows. Running the example first loads the raw data and summarizes the shape and first five rows of the loaded data. The dataset is then cleaned up and saved to a new file. We load this new file and again print the first five rows, showing the removal of the date and time columns and addition of the new sub-metered column. Now that we have a cleaned-up version of the dataset, we can investigate it further using visualizations. The data is a multivariate time series and the best way to understand a time series is to create line plots. We can start off by creating a separate line plot for each of the eight variables. Running the example creates a single image with eight subplots, one for each variable. This gives us a really high level of the four years of one minute observations. We can see that something interesting was going on in ‘Sub_metering_3‘ (environmental control) that may not directly map to hot or cold years. Perhaps new systems were installed. Interestingly, the contribution of ‘sub_metering_4‘ seems to decrease with time, or show a downward trend, perhaps matching up with the solid increase in seen towards the end of the series for ‘Sub_metering_3‘. These observations do reinforce the need to honor the temporal ordering of subsequences of this data when fitting and evaluating any model. We might be able to see the wave of a seasonal effect in the ‘Global_active_power‘ and some other variates. There is some spiky usage that may match up with a specific period, such as weekends. Let’s zoom in and focus on the ‘Global_active_power‘, or ‘active power‘ for short. We can create a new plot of the active power for each year to see if there are any common patterns across the years. The first year, 2006, has less than one month of data, so will remove it from the plot. Running the example creates one single image with four line plots, one for each full year (or mostly full years) of data in the dataset. We can see some common gross patterns across the years, such as around Feb-Mar and around Aug-Sept where we see a marked decrease in consumption. We also seem to see a downward trend over the summer months (middle of the year in the northern hemisphere) and perhaps more consumption in the winter months towards the edges of the plots. These may show an annual seasonal pattern in consumption. We can also see a few patches of missing data in at least the first, third, and fourth plots. We can continue to zoom in on consumption and look at active power for each of the 12 months of 2007. This might help tease out gross structures across the months, such as daily and weekly patterns. Running the example creates a single image with 12 line plots, one for each month in 2007. We can see the sign-wave of power consumption of the days within each month. This is good as we would expect some kind of daily pattern in power consumption. We can see that there are stretches of days with very minimal consumption, such as in August and in April. These may represent vacation periods where the home was unoccupied and where power consumption was minimal. Finally, we can zoom in one more level and take a closer look at power consumption at the daily level. We would expect there to be some pattern to consumption each day, and perhaps differences in days over a week. Running the example creates a single image with 20 line plots, one for the first 20 days in January 2007. There is commonality across the days; for example, many days consumption starts early morning, around 6-7AM. Some days show a drop in consumption in the middle of the day, which might make sense if most occupants are out of the house. We do see some strong overnight consumption on some days, that in a northern hemisphere January may match up with a heating system being used. Time of year, specifically the season and the weather that it brings, will be an important factor in modeling this data, as would be expected. Another important area to consider is the distribution of the variables. For example, it may be interesting to know if the distributions of observations are Gaussian or some other distribution. We can investigate the distributions of the data by reviewing histograms. We can start-off by creating a histogram for each variable in the time series. Running the example creates a single figure with a separate histogram for each of the 8 variables. We can see that active and reactive power, intensity, as well as the sub-metered power are all skewed distributions down towards small watt-hour or kilowatt values. We can also see that distribution of voltage data is strongly Gaussian. The distribution of active power appears to be bi-modal, meaning it looks like it has two mean groups of observations. We can investigate this further by looking at the distribution of active power consumption for the four full years of data. Running the example creates a single plot with four figures, one for each of the years between 2007 to 2010. We can see that the distribution of active power consumption across those years looks very similar. The distribution is indeed bimodal with one peak around 0.3 KW and perhaps another around 1.3 KW. There is a long tail on the distribution to higher kilowatt values. It might open the door to notions of discretizing the data and separating it into peak 1, peak 2 or long tail. These groups or clusters for usage on a day or hour may be helpful in developing a predictive model. It is possible that the identified groups may vary over the seasons of the year. We can investigate this by looking at the distribution for active power for each month in a year. Running the example creates an image with 12 plots, one for each month in 2007. We can see generally the same data distribution each month. The axes for the plots appear to align (given the similar scales), and we can see that the peaks are shifted down in the warmer northern hemisphere months and shifted up for the colder months. We can also see a thicker or more prominent tail toward larger kilowatt values for the cooler months of December through to March. Now that we know how to load and explore the dataset, we can pose some ideas on how to model the dataset. There does not appear to be a seminal publication for the dataset to demonstrate the intended way to frame the data in a predictive modeling problem. We are therefore left to guess at possibly useful ways that this data may be used. The data is only for a single household, but perhaps effective modeling approaches could be generalized across to similar households. Perhaps the most useful framing of the dataset is to forecast an interval of future active power consumption. Forecast hourly consumption for the next day. Forecast daily consumption for the next week. Forecast daily consumption for the next month. Forecast monthly consumption for the next year. Generally, these types of forecasting problems are referred to as multi-step forecasting. Models that make use of all of the variables might be referred to as a multivariate multi-step forecasting models. Each of these models is not limited to forecasting the minutely data, but instead could model the problem at or below the chosen forecast resolution. Forecasting consumption in turn, at scale, could aid in a utility company forecasting demand, which is a widely studied and important problem. There is a lot of flexibility in preparing this data for modeling. Daily differencing may be useful to adjust for the daily cycle in the data. Annual differencing may be useful to adjust for any yearly cycle in the data. Normalization may aid in reducing the variables with differing units to the same scale. There are many simple human factors that may be helpful in engineering features from the data, that in turn may make specific days easier to forecast. Indicating the time of day, to account for the likelihood of people being home or not. Indicating whether a day is a weekday or weekend. Indicating whether a day is a North American public holiday or not. These factors may be significantly less important for forecasting monthly data, and perhaps to a degree for weekly data. Indicating the season, which may lead to the type or amount environmental control systems being used. Naive methods would include methods that make very simple, but often very effective assumptions. Tomorrow will be the same as today. Tomorrow will be the same as this day last year. Tomorrow will be an average of the last few days. Classical linear methods include techniques are very effective for univariate time series forecasting. They would require that the additional variables be discarded and the parameters of the model be configured or tuned to the specific framing of the dataset. Concerns related to adjusting the data for daily and seasonal structures can also be supported directly. Machine learning methods require that the problem be framed as a supervised learning problem. This would require that lag observations for a series be framed as input features, discarding the temporal relationship in the data. Careful attention is required to ensure that the fitting and evaluation of these models preserved the temporal structure in the data. This is important so that the method is not able to ‘cheat’ by harnessing observations from the future. These methods are often agnostic to large numbers of variables and may aid in teasing out whether the additional variables can be harnessed and add value to predictive models. Generally, neural networks have not proven very effective at autoregression type problems. Nevertheless, techniques such as convolutional neural networks are able to automatically learn complex features from raw data, including one-dimensional signal data. And recurrent neural networks, such as the long short-term memory network, are capable of directly learning across multiple parallel sequences of input data. Further, combinations of these methods, such as CNN LSTM and ConvLSTM, have proven effective on time series classification tasks. It is possible that these methods may be able to harness the large volume of minute-based data and multiple input variables. In this tutorial, you discovered a household power consumption dataset for multi-step time series forecasting and how to better understand the raw data using exploratory analysis. Thank you for the post. It is really helpful. I was wondering how to frame the input data for Forecasting hourly consumption for the next day using SVM, ANN and Randomforest. Is there any reference for multi-step multi-variate time series prediction? Also, would Forecast hourly consumption for the next day be more accurate than Forecast hourly consumption for the next week? Yes, I have many examples. If there was “IoT” in the title, people (including me) would faster recognize the immense value in your post/book. Can you guess references as an example of how to do this predictive analysis? You have an example? Thanks for writing this very informative post. On a related note, is there a dataset that can be used for classification of appliance’s consumption i.e. Consumption disaggregation at appliances level?